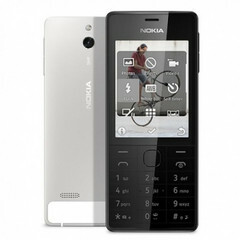 Nokia 515 is a new entry-level handset built using premium materials and offers high performance and autonomy in the shape of a classic mobile phone. Nokia announced the Nokia 515 dual SIM feature phone yesterday, during a press event held in Moscow. A classic handset built using premium materials and craftsmanship, the Nokia 515 features a high-quality aluminum body, a polarised Gorilla Glass 2 display and is also available in a single SIM variant. The Nokia 515 also comes preloaded with applications for email, social networking and browsing. Thousands of additional apps can be downloaded from the Nokia Store. Carrying a price tag of $153 before any local taxes and subsidies, Nokia's feature phone will be available in September starting in Russia, Germany, Switzerland and Poland.